of need of a place to call home in the motorcycle world. “We are going out into communities and trying to draw them into the store. 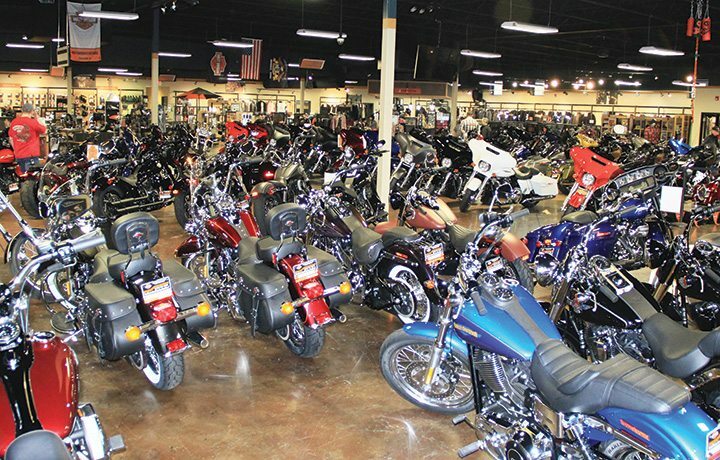 In 2016, I think we got a little bit more traction,” said Penny Golden, general manager at Southern Devil Harley-Davidson. 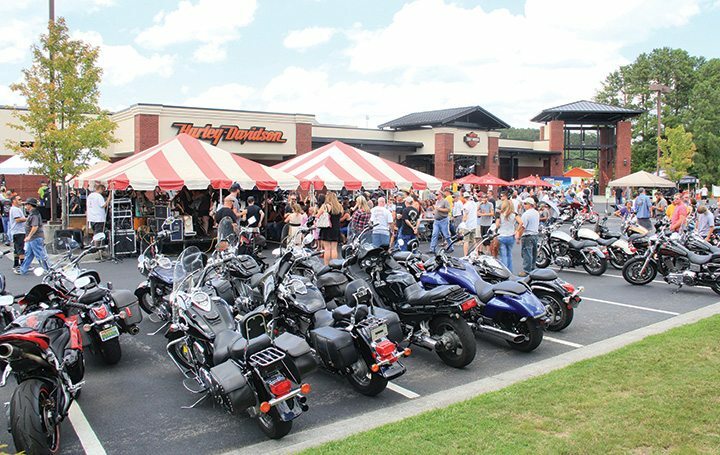 By attending more events outside of the dealership and sponsoring local festivals, the Cartersville, Georgia-based dealership proved that it is committed to both new and old customers for the long haul. Southern Devil Harley-Davidson hosts its annual Rockabilly Rumble, an all-day event featuring live music, food, kid activities, vendors and more. The name for the dealership was inspired by a devil scorpion, otherwise known as a “Southern Devil,” that are common in many areas of northern Georgia. Golden said the dealership even has several scorpions on display in aquariums for customers to view. In addition to the Jumpstart, Southern Devil also turns heads at events by bringing customized motorcycles. The dealership recently customized a steampunk-themed motorcycle in Atlanta’s Dragon Con Parade and a Captain America-themed motorcycle at another local show. Golden said the bikes have gotten a lot of attention on social media, surpassing 30,000 views on Facebook. Southern Devil offers Riding Academy classes for new riders and tries to maintain a presence in its community. The dealership tries to have at least one large monthly event and two to three weekly events throughout the season. During its annual chili cook off, Golden learned that many participants had never been to the dealership before. 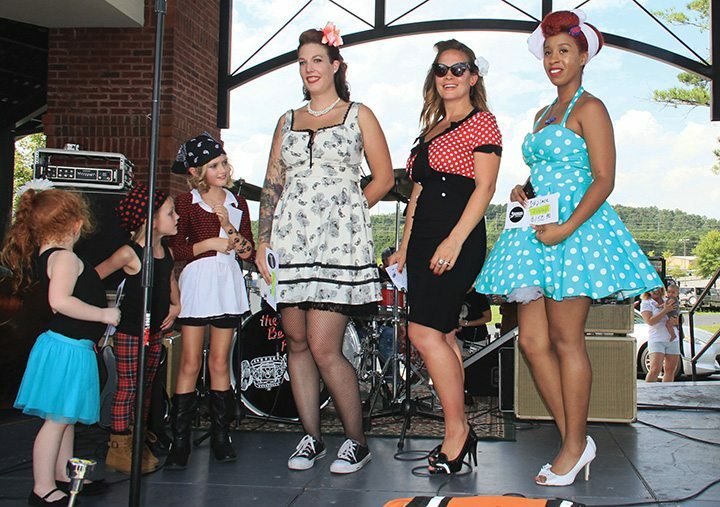 Among the activities at the annual Rockabilly Rumble, the dealership hosts a pin-up girl contest during the event. Because of the size of the dealership and the help of its local H.O.G. chapter, Southern Devil is able to host multiple events simultaneously. One of the dealership’s most popular events is the annual Rockabilly Rumble, which continues to grow each year. Golden estimated that 6,000 people attended last year’s event, which featured Rockabilly bands, vintage cars, vendors and more. Now in its fifth year, the event has even been voted one of the top festivals in the state of Georgia. Overall business has been very positive, with the dealership exceeding its plan for the year in 2016 and finishing the year 12 percent ahead of the Motor Co.’s retail target goal. “I believe that the reason we excelled is because we were going outside the box,” Golden said. With a CXI score of 9.8 out of 10, it’s clear that the dealership is focused on providing a top-notch experience from purchase to service and beyond. In 2017, Southern Devil plans to expand its post-sale tour to be even more involved. Now that CXI scores are electronic, the store can reach out to those who did and did not submit surveys and follow up on those experiences. The dealership was renamed Southern Devil Harley-Davidson after the Southern Devil scorpion, which is common in many areas of northern Georgia. From relationships built with the customers, Southern Devil has invited several of those customers back into the dealership for a roundtable discussion after hours. Through those talks, the staff learned valuable information about their sales process, what they did well and what they could improve upon. “It was amazing to see what kind of ambassadors we created for the dealership,” she said.